There's a really popular meme doing the rounds of social media. It's a scene from the popular youth-centric show 13 Reasons Why, where the character says, "So you see, that's where the problem began. That smile. That damned smile." 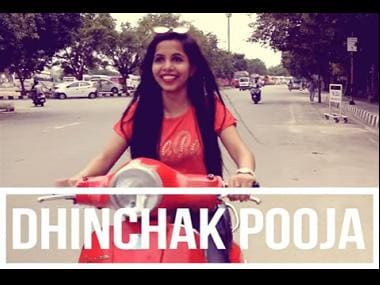 The beginning of Dhinchak Pooja's song 'Dilon Ka Shooter' will remind you of that meme. This song has already crossed 384,133 views on YouTube. Upon hearing the name of her latest single, you would imagine that it is probably about some attractive girl or boy. Instead, Pooja talks about how her scooter is a 'dilon ka shooter', meaning that her scooter, a red Vespa, is capable of shooting people's hearts and winning them. Keeping her distinct style intact, this song too has two lines of lyrics, sung over and over for more than a minute. In the other line of the song, Pooja asks if anybody could be cuter than her. Musically speaking, the song is a little different from her other tracks, because it seems to be sung more in tune, and the lyrics and beats are better coordinated. Fans may be a little disappointed that this song is a minute shorter than her other singles 'Selfie Maine Le Li Aaj', 'Daru' and 'Swag Wali Topi'. However, what is missing from this video is her troupe, which has featured in her previous songs. In this one, it's just Pooja and her heart-shooting scooter. 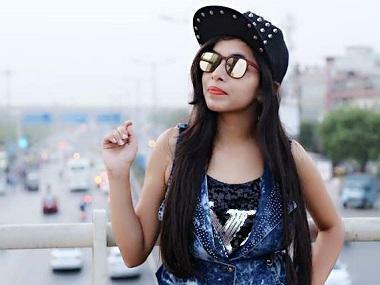 In a message that she gave in place of an interview, Dhinchak Pooja spoke about how she has been interested in music since she was a child, and that it was a friend who happened to read the lyrics she had once penned down who motivated her to start a YouTube channel. Pooja also said that she is not unaware about the funny nature of her songs. She also spoke about the experience of meeting a die-hard fan and added that those who do not enjoy her music should not troll her. 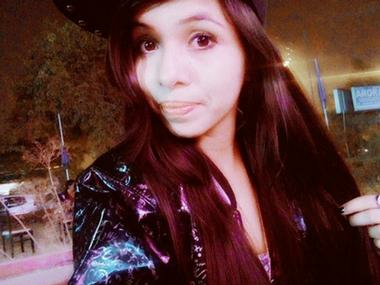 Dhinchak Pooja videos taken off Youtube channel: No more selfies for the cringe-pop star?